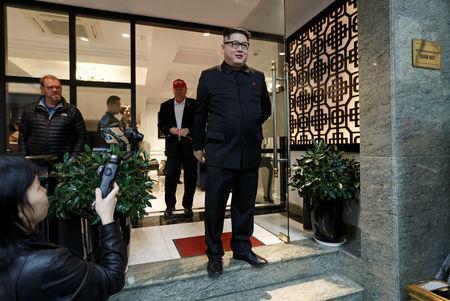 HANOI (Reuters) - An Australian comedian who impersonates North Korean leader Kim Jong Un said on Monday authorities were deporting him from Vietnam, some 24 hours before the real Kim was due to arrive for a summit with U.S. President Donald Trump. 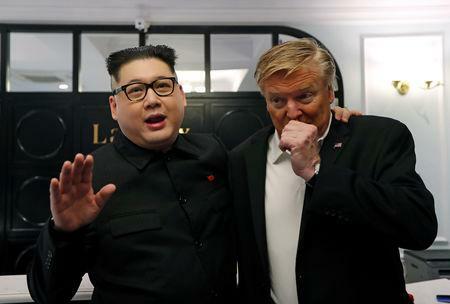 The Kim lookalike, who goes by the name Howard X, popped up in Vietnam's capital of Hanoi on Friday along with his partner who impersonates Trump, drawing crowds and media. The two real leaders are due to meet in Hanoi on Wednesday and Thursday for their second nuclear summit. 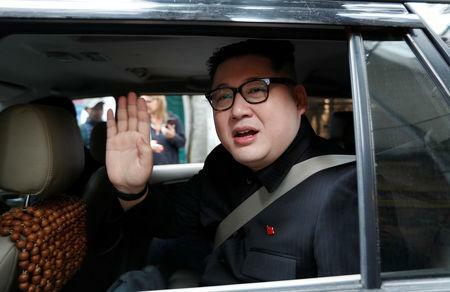 "North Koreans have no sense of humor," the impersonator told reporters before heading to Hanoi's airport to leave the country. "Satire is a powerful weapon against any dictatorship." The impersonator visited Singapore in June, when Trump and Kim held their first summit, and performed satirical stunts. He said he was briefly detained by authorities there. He also showed up at the 2018 Winter Olympics in South Korea, where he danced in front of an appalled North Korean cheer squad before security hauled him away. Vietnamese foreign ministry officials were not immediately available for comment on Monday. Howard X said earlier authorities had questioned him and warned him not to create any disturbance. Vietnam has tightened security around the capital ahead of the summit. Howard X said his partner, Trump impersonator Russell White, was allowed to stay on in Vietnam, but not allowed to do make any more public appearances. The two hugged and kissed goodbye for the cameras on Monday. "Please no World War Three," Howard X said. "They are scared of a couple of guys that look like real thing."